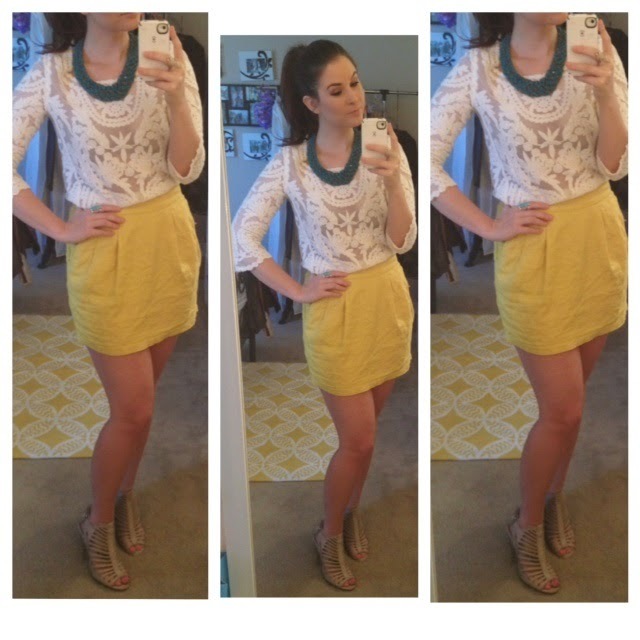 I'm absolutely loving yellow for summer! It's my go-to color this season. 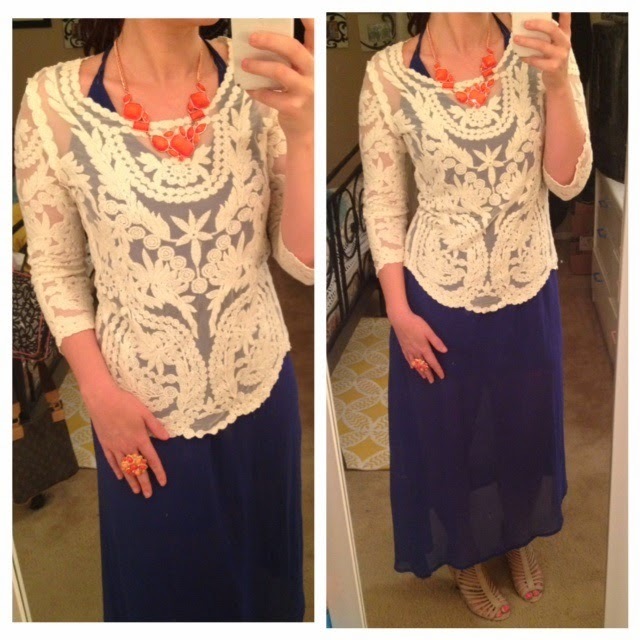 Also a great lacy top is perfect for the warm summer months. You can wear it alone, or throw it over one of your favorite dresses when it gets a bit cooler at night! I love, absolutely love that top. Where did you get that skirt?